Website the website that you are currently using, www.ukvisas.co.uk, and any sub-domains of this site unless expressly excluded by their own terms and conditions. For purposes of the applicable Data Protection Laws, UK Visas (UK) Ltd is the “data controller”. This means that UK Visas Ltd determines the purposes for which, and the manner in which, your Data is processed. Technical and organisational measures include measures to deal with any suspected data breach. If you suspect any misuse or loss or unauthorised access to your Data, please let us know immediately by contacting us via this e-mail address: info@ukvisas.co.uk. To make enquiries, exercise any of your rights set out above, or withdraw your consent to the processing of your Data (where consent is our legal basis for processing your Data), please contact us via this e-mail address: info@ukvisas.co.uk. Before the Website places Cookies on your computer, you will be presented with a message bar requesting your consent to set those Cookies. By giving your consent to the placing of Cookies, you are enabling UK Visas Ltd to provide a better experience and service to you. You may, if you wish, deny consent to the placing of Cookies; however certain features of the Website may not function fully or as intended. Analytics This website collects a record of your visit and logs the following information for statistical information purposes – the user’s IP address, the date and time of the visit to the site, the pages accessed, the previous site visited and type of browser used. This information is analysed regularly to assess the site’s usage statistics. 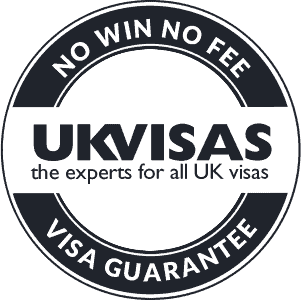 UK VISAS is committed to providing a confidential advice service. All users of the service have the right to confidentiality to protect their interests. Assuring confidentiality is necessary to maintain the credibility of the service. Subject to what follows, no information regarding an advice-service user (client) shall be given directly or indirectly to any third party who is not a UK VISAS staff member, without the client’s expressed consent to the disclosure of such information. No information will be given to any external agency without the client’s expressed consent unless the provision if such information is required by law. The manager or in his/her absence his/her deputy may, however, decide that information should be disclosed without consent if in their judgement there is a risk of immediate physical danger to the client or others. UK VISAS recognizes that information may need to be shared when staff members discuss cases. Staff are expected to ensure that such discussions take place in an appropriate environment – and not normally outside the office, except where seeking additional advice from an external adviser. Where UK VISAS is committed to the statistical recordings of advice service use to enable it to monitor the demand for the service and to identify any practical or policy issues related to advice services. It is the responsibility of that staff member to ensure that all statistical records given to third parties are produced in an anonymous form so that individuals cannot be recognised. It is the responsibility of the advice service staff to ensure that all individual case records are locked securely at the end of each working day. This includes note books, copies of correspondence and any other sources of information; it is also their responsibility to ensure that all computer records are held secure and appropriately protected. If staff members wish to conflict or correspond with clients, they are responsible for confirming that it is acceptable to call or write to them at home or work in relation to their case. All staff must ensure they make no reference to the purpose of the call when making telephone contact through third parties. All details of expressed consent must be recorded on the case file.